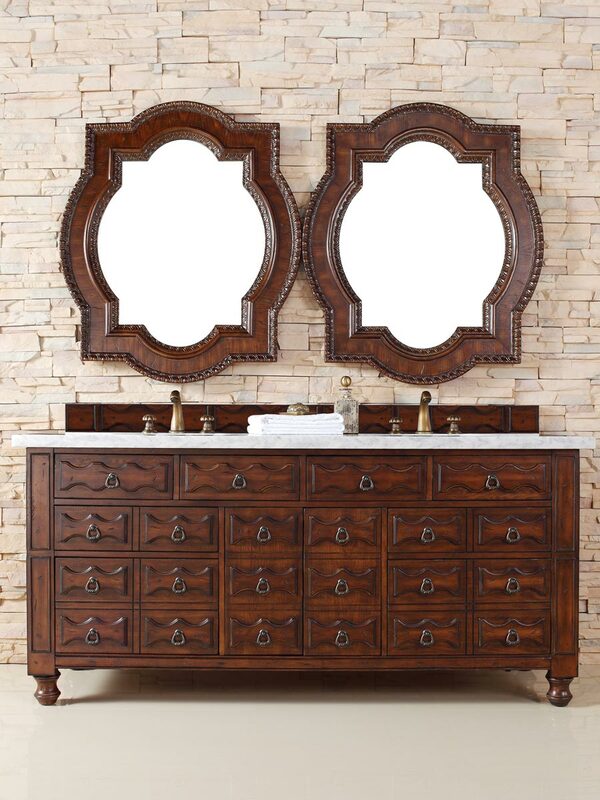 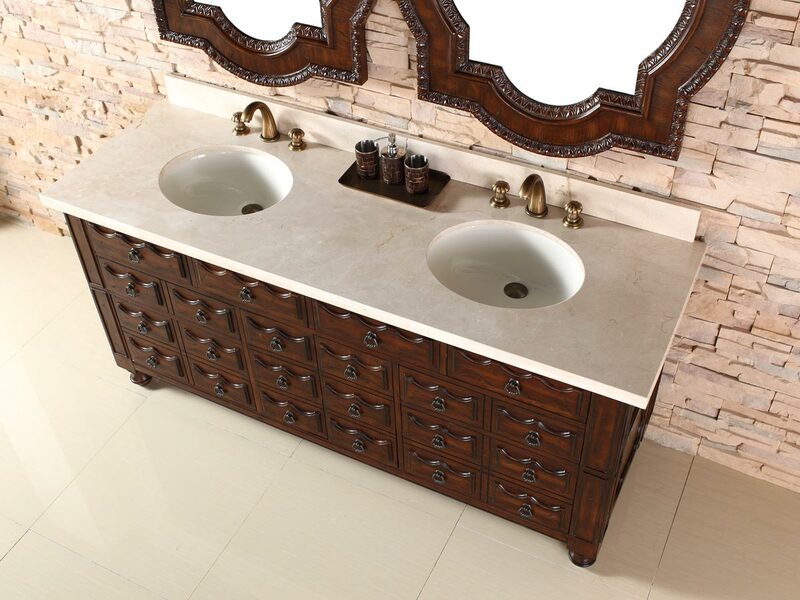 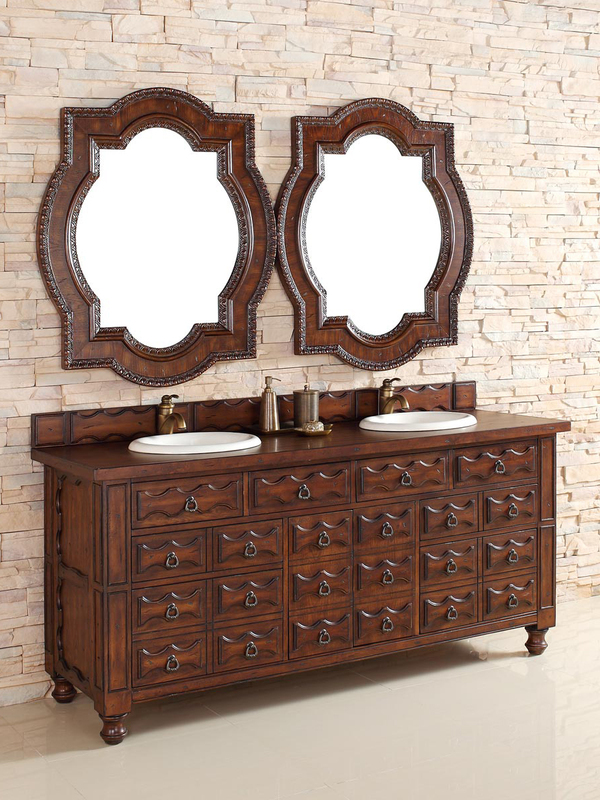 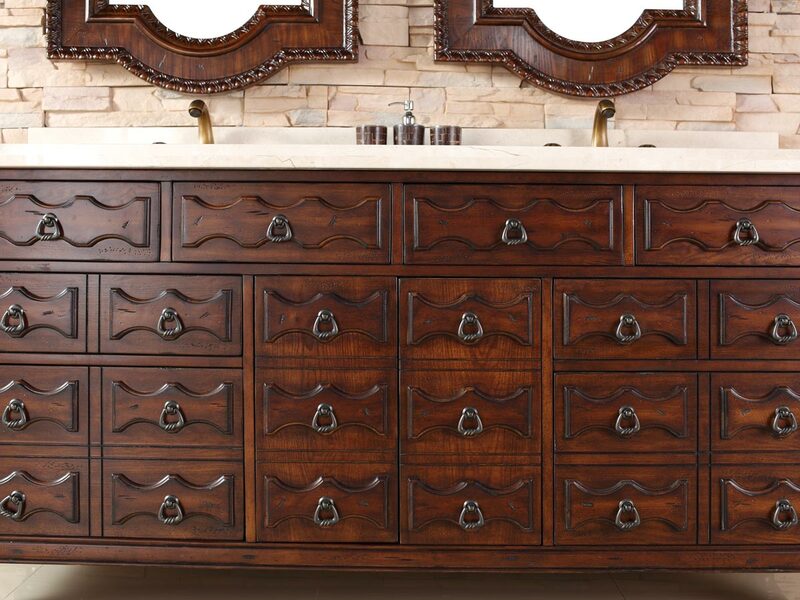 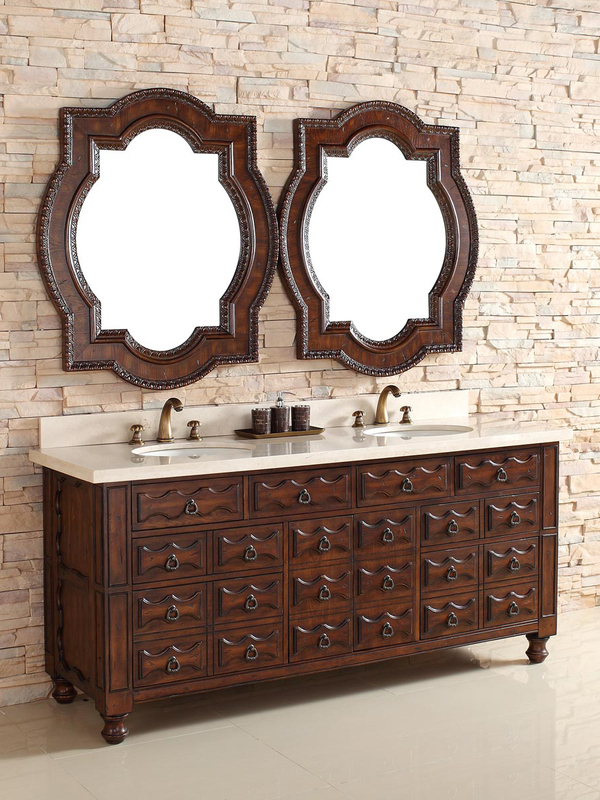 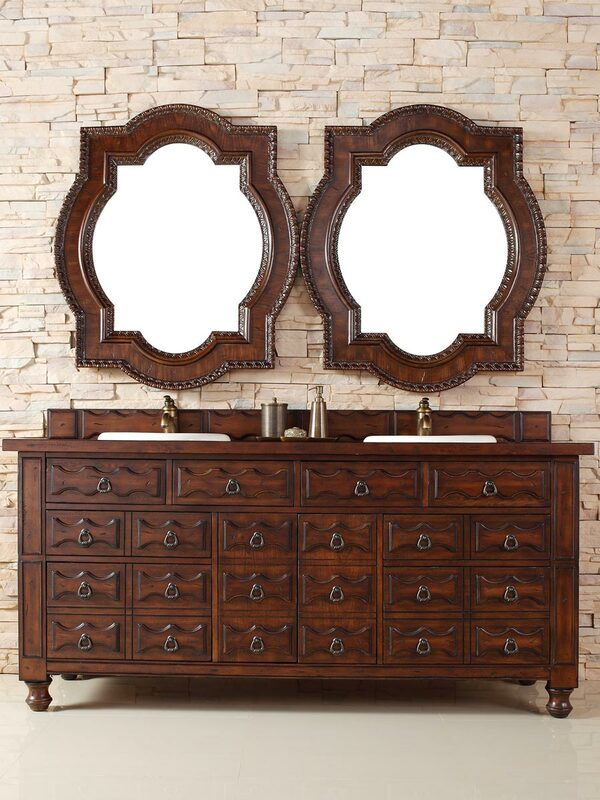 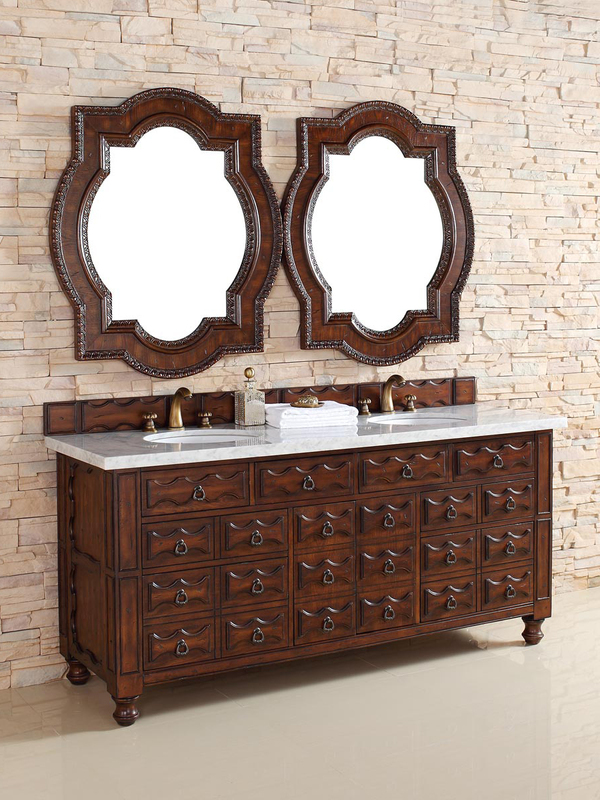 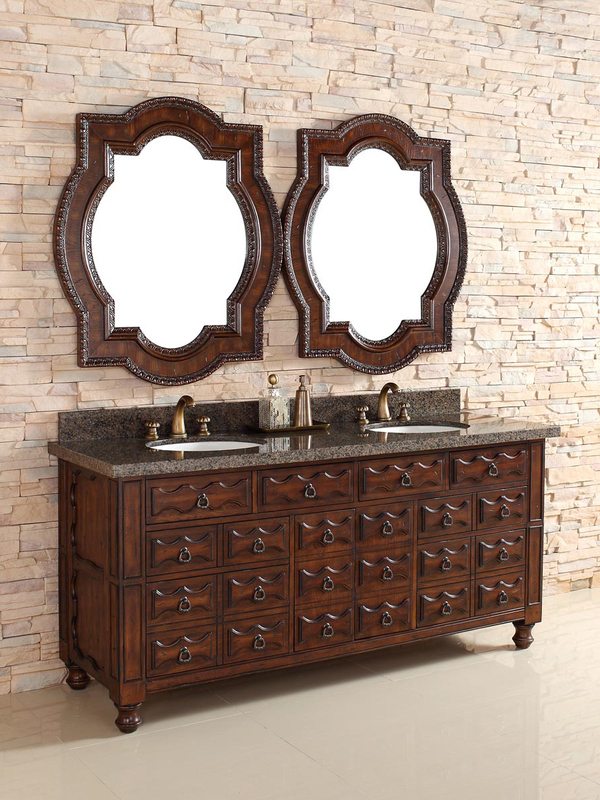 The 72" Castilian Double Sink Vanity is luxurious in both aesthetics and function. 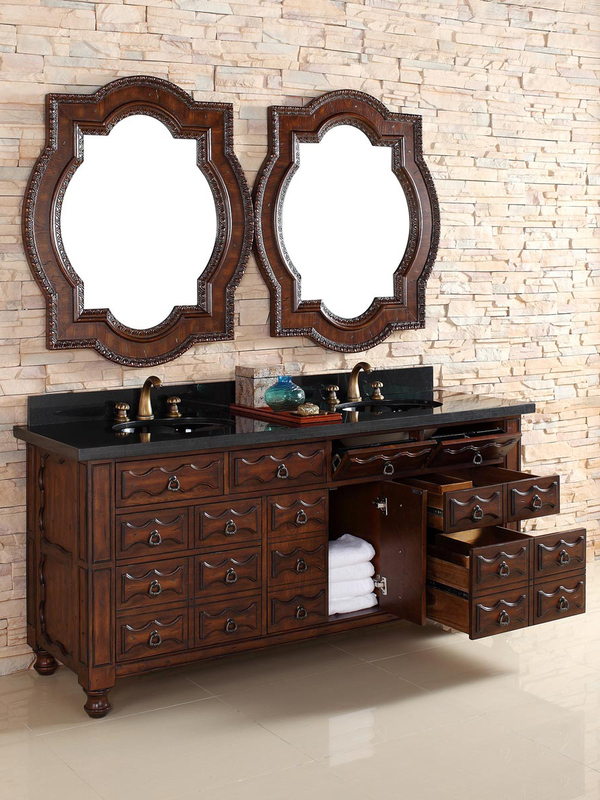 With its spacious counter space and multiple storage compartments, this vanity has it all. 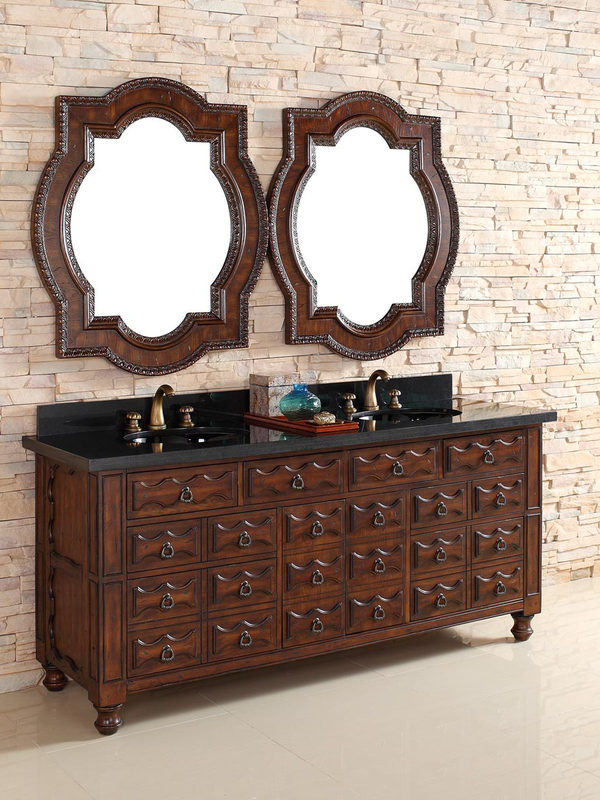 The cabinet is constructed from solid oak and birch with a warm Aged Cognac finish. 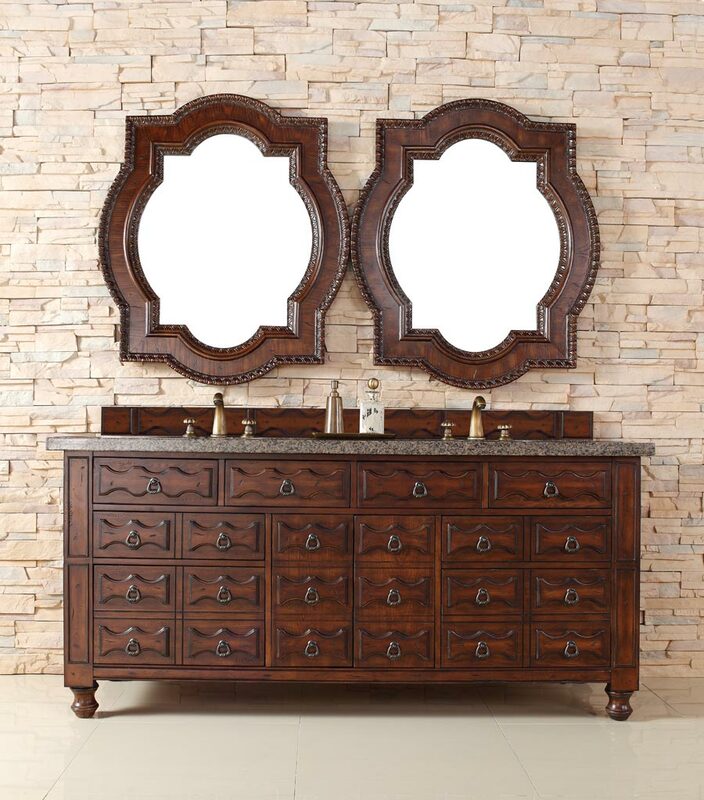 Two small drawers, two large drawers, two single-door cabinets, and four hide-away drawers give you plenty of space for all your bathroom necessities. 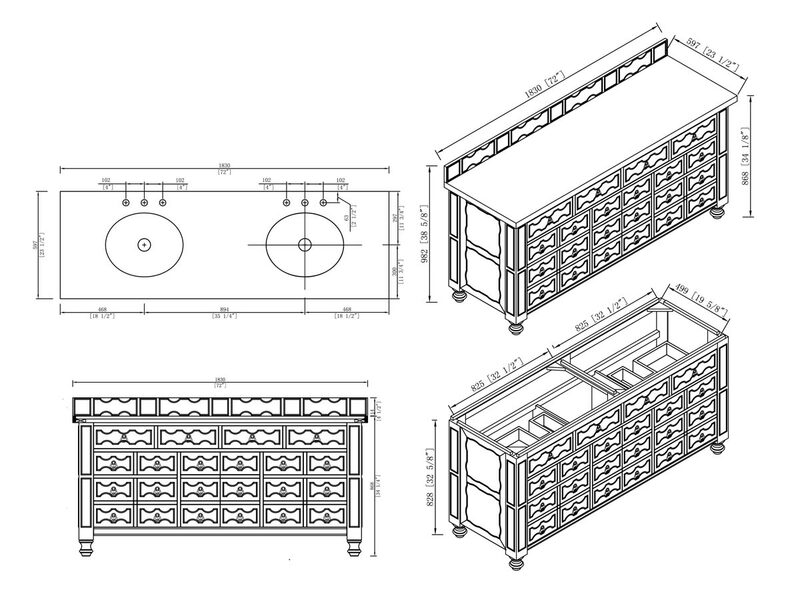 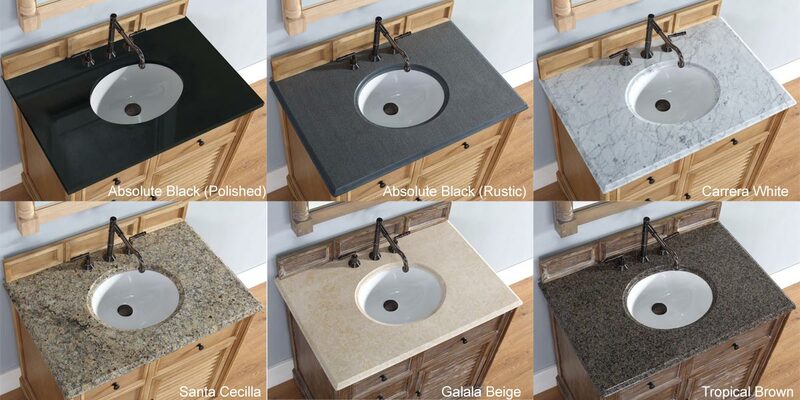 The top is available in six beautiful options - choose from wood or 5 stone tops (see images for options). 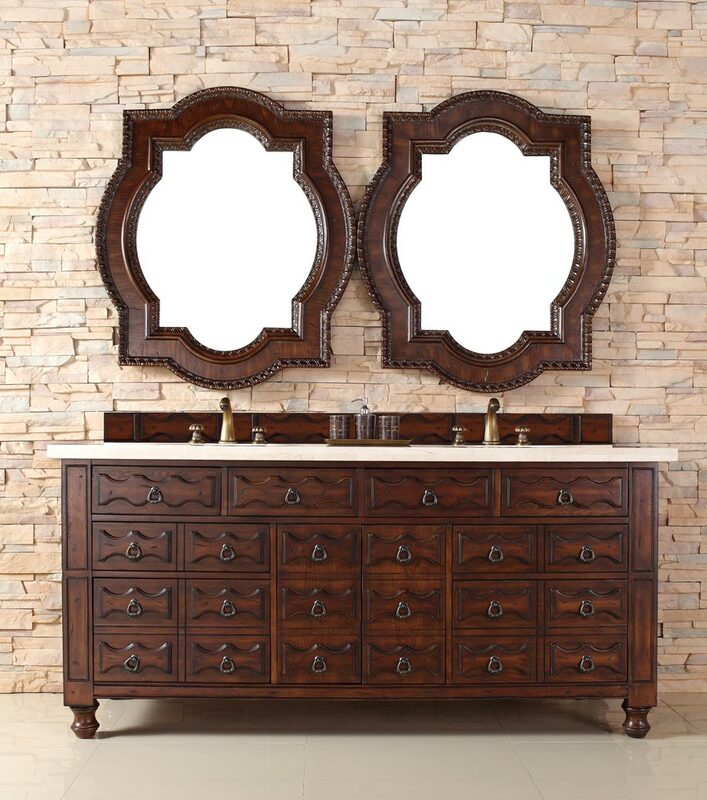 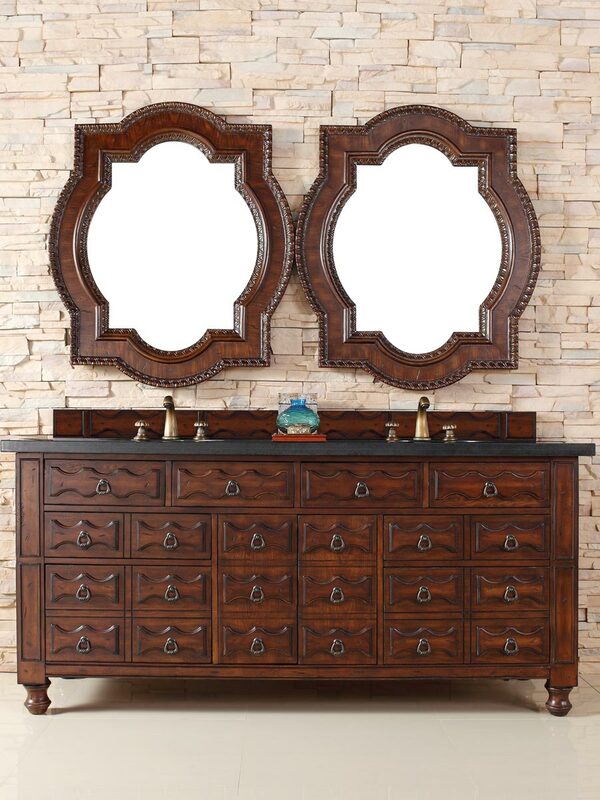 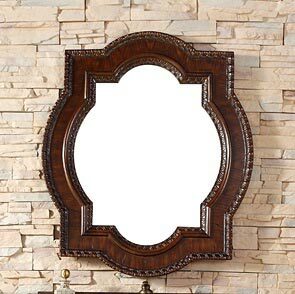 Matching mirrors can also be added to give your new vanity a sophisticated finish.